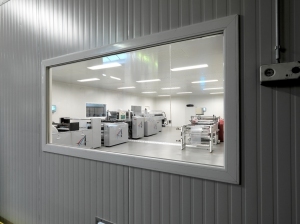 Our well trained and experienced staff are familiar with a GMP oriented cleanroom production and guarantee an ongoing high quality level of our products. All cleanroom made bags and sheets are double or triple packed for use in your cleanroom and individually labeled thus allowing a full traceability throughout the whole supply chain. We offer widths from 60 up to 2200 mm and lengths up to 3000 mm in gauges from 20 up to 200 microns.